Olle Jonsson's blog – Page 4 – Against entropy. 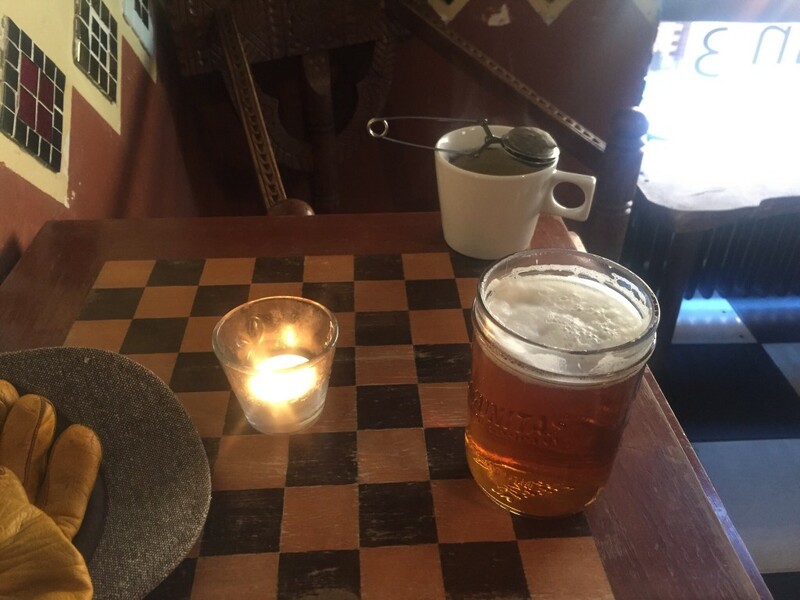 Peter visited Malmö, and we sat down to decompress at Simpan. 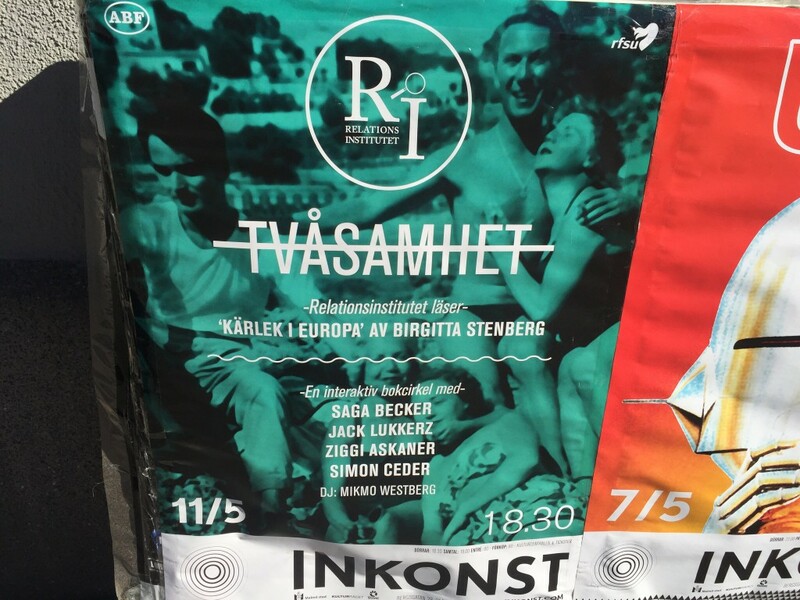 A fancy poster for a reading of a book by Swedish genius author Birgitta Stenberg. adr-tools is a set of command-line tools by Nat Pryce that allows people in software projects to record their design decisions, as they go along, a bit like the captain’s log on the Enterprise. (Much more on such log entries at this wiki for trekkers.) You type adr new Use Postgres, and it creates a formatted Markdown file, with headings in place, ready for you to fill out, fleshing out your reasoning for the decision. That library, I had the good fortune to be able to make a Homebrew package (a tap, in the parlance) for it, making installation of the tool a one-liner. This is such a package: homebrew-adr-tools. That’s all there’s to it, just a homebrew-prefixed GitHub repository with that file in it. I tried adding a feature to the tool, which led me to its outout-expectation-based test suite with its attendant Makefile. Pretty decent experience using them! InDesign’s Data Merge feature is great. This is a video I return to, when I need to use it. 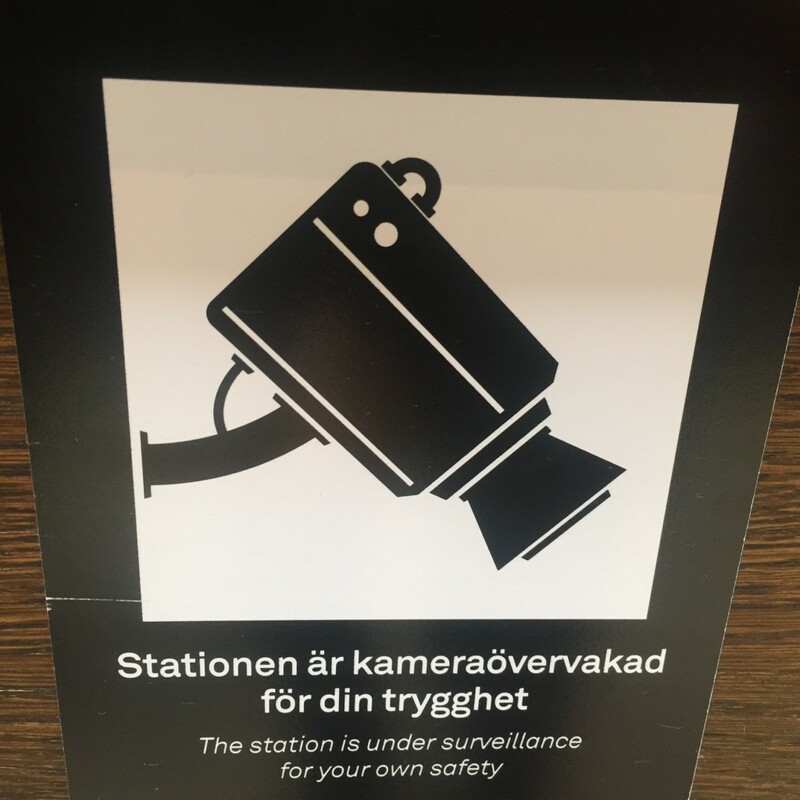 There is a catch, though: the data must be in the right format for this to work with Swedish text, which has å, ä and ö. Use column names without spaces, and only lower-case characters. Do not use any “special characters”. So: only between a-z. Change to your directory where the file is by dragging its folder into the Terminal window and hit ENTER. A new file filen2.csv is created in the same directory. Use this new file in your InDesign data merge! This may be easier to read. Changing directory can be done using the text command cd (“change directory”), followed by the path you want to navigate to. pwd is a text command that reads “print working directory”. Try it! You’re desperate. Your legacy code-generation code outputs a Hash using hash#to_s. You’ve flouted many Rubocop rules to get to where you are. Suddenly, it gets too much. You search the Web for a pretty-print function that you want: a Rubocop-friendly Hash pretty-printer. 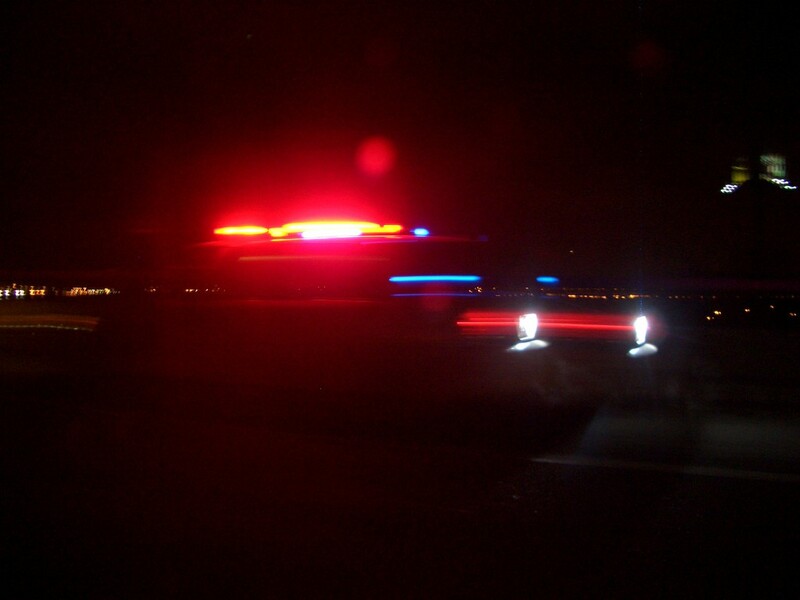 Empty-handed, you cough up blood, while a police car’s red-blue lights flicker in through the blinds of your run-down office. Then, you faint, blessed sleep converges on you and envelopes you in a colorless void. 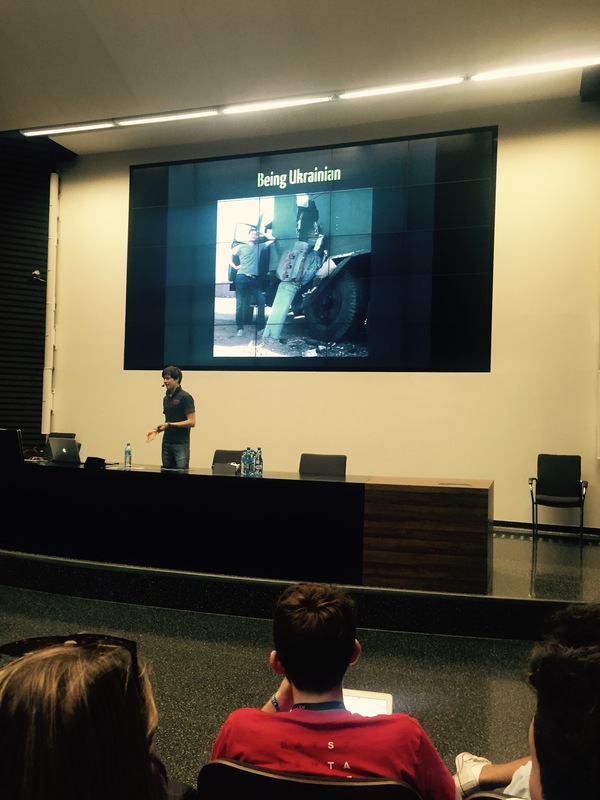 Julian Togelius blogs about his new paper. I finished reading a novel. Been a long slog. Five years to read a novel? Some blogger said they immediately began re-reading it, to see and experience the rich intertextuality etc. Thanks, Evan, for the reminder that it’s been so long. PS: the book was grand. Tonight, I made it to Homebrew Website Club hosted at inUse in Malmö. I was greeted by three kind souls, among them a proprietor of a Lego fan website with a 176 contributors – and Pelle and Emil. The club format is the same every time: first an hour of social or at-your-computer time. Then an hour of show-and-tell explanations, demoing and showing stuff. Emil showed us CSS and SVG techniques, some of them brilliant. SVG is a deep well to drink from. Read more at Sara Soueidan’s website. Pelle made a very nice hands-on demo of a system of services he’s built, which involved commenting on any page using his telephone. We had talked about Node.js a fair bit, and I showed what the private caching npm server sinopia looks like when installed. Its claim to fame is its file-based caching – don’t fetch packages from the central repository more than you need. When I had showed that, we had used up our time, and it was time to put the crisps down and go home. How kind, to have time limit, so that people on tight schedules won’t miss stuff. Run relevant code-checking tools on your code, before it is even checked in locally. Using the Ruby project Overcommit, you can set this up on your own machine in a jiffy. Or, read more about git hooks. Configure the resulting .overcommit.yml to enable/disable the checks you want run. Try committing a file which would fail a check. Posted byOlle Jonsson 2015-09-21 2015-09-21 Posted inTechnologyLeave a comment on Git Pre-commit hooks! Yesterday morning, the ISS was resupplied, in a textbook example of a great space-station docking. I had just woken up, and saw the last 2 minute of the docking. Very exciting. Then I began trying to finish this conference overview. It’s more stream-of-consciousness than report. You’ve been warned. So, outside the bubble of conference again. My tweeting will be less frequent. The friendly #polyconf hashtag has lots of tweets. The weather will be less scorching. The place: Poznan is getting better and better every time. Weather, shopping, eating. Felix and Karolina. My people. Conferences are meeting points, folded in spacetime, so that when you meet again, it’s as if no time has passed. (Terms and Conditions apply.) Cheers, you magical unicorns. Robert Virding. Gave me a short personal Get Started tutorial with LFE (in Swedish) after we’d lunched, and ruminated on How Much We Got Right when defining the core principles of Erlang (when he was designing the language). A generous, thinking, caring community member. Virding runs the LFE – Lisp-Flavored Erlang – project. So, the small community of people using Erlang, cut to a smaller piece by removing anyone who wouldn’t use Lisp – those people must love this language. And I believe they do. Being confident about your choices and tradeoffs, is a wonderful thing. Alban & Julien. On the evening of the last day, we got to talking about films. The two Frenchmen with their real French accents, me with my Cahiers du Cinéma fake accent. Tips of movies to watch: Raise the red lantern, Still the waters, Departures, and The Saddest Music In The World. We talked of Jodorowsky, Virginie Despentes and Gaspard Noé. How some films make you angry. Stefan Karpinski. A friendly programming languages person who could speak Swedish. Also part of making Julia. A pierogi-eater. 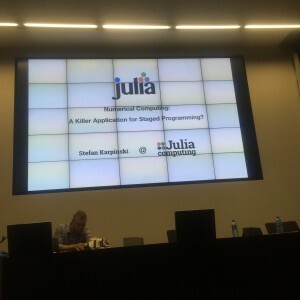 Much exciting is going on with the Julia language, which is a quite modern way to write fast programs. 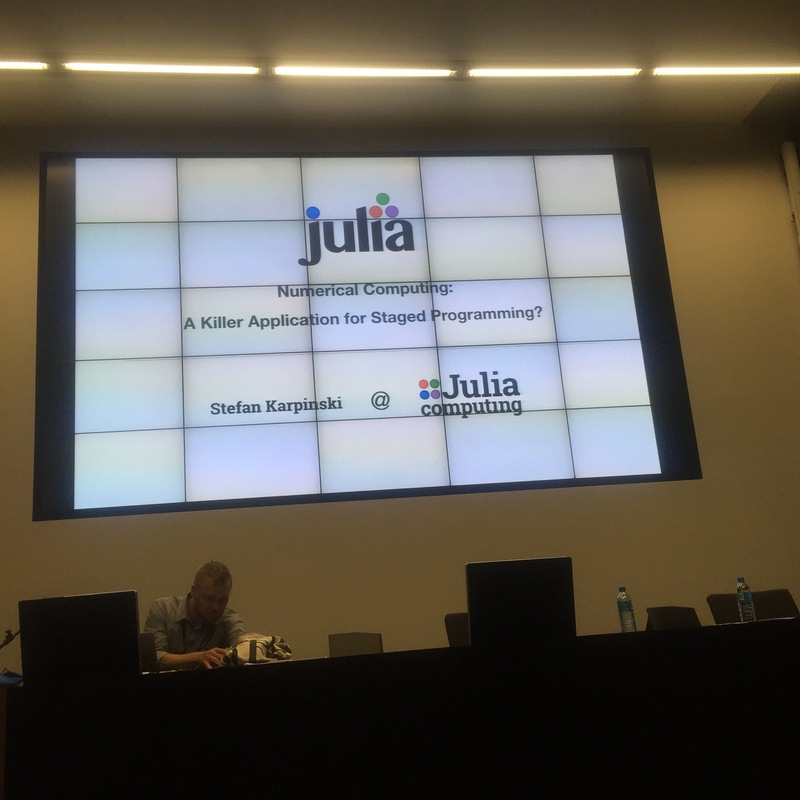 It was interesting to hear about the formation of the Julia company. Heady times. Brendon McLean. A pierogi-eater. Great story-teller with a big heart. His work involves some scientific computing. He made a show-and-tell of his S-expression-based communications channel between Ruby and Python, by way of IPython Notebooks. Very grounded, calm in his presentation, but a very lively and present human being in conversation. Brendon lives in beautiful Cape Town, where he sits in front of a computer all day. Alex P. A pierogi-eater and monoid monger. Fine Clojure talk on timeseries work. Pierre-Yves Ritschard. A pierogi-eater and maker of cluster management software around Mesos. Programmatic access to the cluster made easier using Clojure. “mesos interaction in idiomatic Clojure” as the repository succinctly states. Great slogan: mesomatic: the cluster is a library. Amir Chaudhry. Not a confirmed pierogi-eater. MirageOS’er who introduced that ecology of tools. Slides from his talk can probably tell you some of the story. We had friends in common, and said hello over the ether to them. The very pleasant and generous miniKanren evangelist William E Byrd: a home computer hacker. We talked of the Commodore 64 and of the 1541 (William described with disgust the design failures of that drive; read the details in the wiki article). He also shared insight on racing the beam programming in the Atari 2600. And, his 3-hour miniKanren tutorial was just stellar. The people in the room got the hang of the lingo, the thinking, the machinery, just by following along Will’s session. Quite a feat. On Will’s generosity: every Sunday, he records an “uncourse” Hangout, which he publishes for free. I guess I now need to put the Reasoned Schemer onto my book list. Conference apps must be offline Web apps. No more fiddly App Store have-to-update-app-to-update-schedule. Hoodie could be used to kick off that Web app. About marketing: Make Tweets linking to your website more visible: Any content surfaced as shareable links should have a Summary Large Image Twitter Card to be more visible. Perhaps something for public software documentation, too. The typical inhabitant of the Dying Earth speaks and behaves differently from characters in other fantasy series or people in real life. He is arrogant, greedy, indolent, and rakish. He loves fine food to excess and can’t resist the urge to correct others on obscure points of fact. Your character will differ from the norm only if you spend creation points on Resistance ratings. A Resistance rating allows the character to disregard one of these universal temptations. Each of the six major temptations requires its own rating.